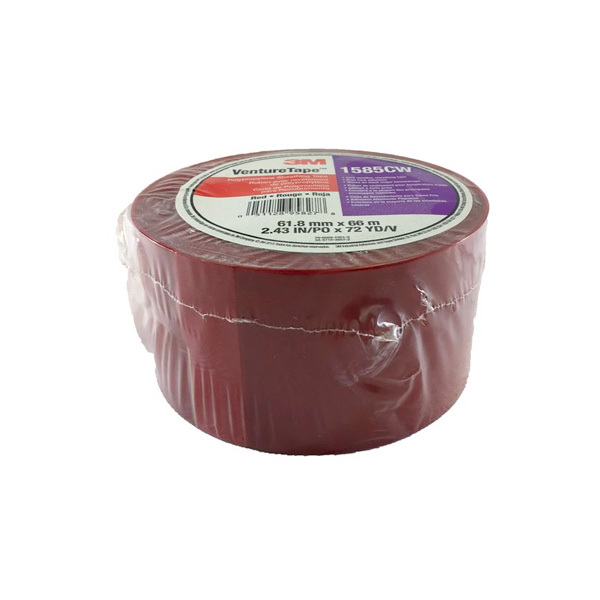 2 1/2″ x 216′ Polypropylene printed sheathing tape. 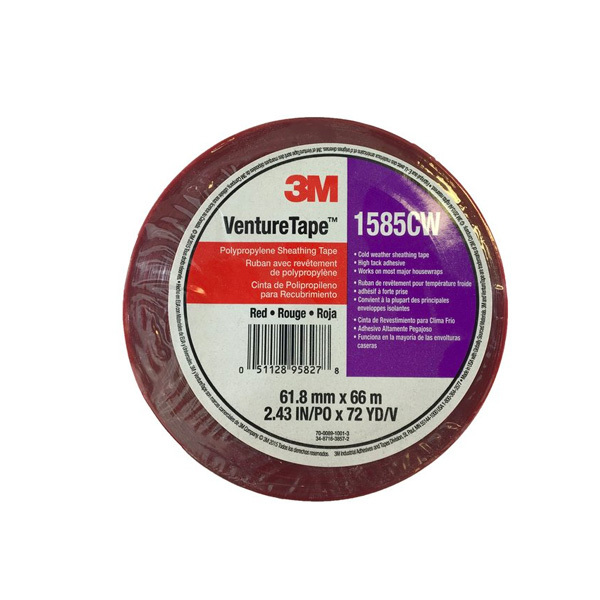 This tape is a biaxially oriented polypropylene (BOPP) tape coated with an aggressive acrylic pressure sensitive adhesive. It has an aggressive adhesive for quick stick and performs well in cold temperatures as well as high heat and humidity conditions. UV resistant masking tape, painters grade, solvent based rubber ADH clean removal, up to 14 days outdoor exposure, blue crepe paper, 5.2 mil thick. 2" x 60 yds.